There’s a brand new trail system in Oregon on the Southern Oregon Coast near Coos Bay! Ribbons of clay dirt flow and wind through the Coos County Forest in these cross-country style trails. Moderate climbing and fun descending make this system worth the drive to the gorgeous Southern Oregon Coast. The trail system is located about 10 minutes from Bandon or Coos Bay off Highway 101, in the mists of the coastal forest. The Whiskey Run Bike Festival celebrates these new mt. bike trails with an event featuring guided ride. The trails we extremely well suited to brand new riders and kiddos, as well as experienced speed demons. 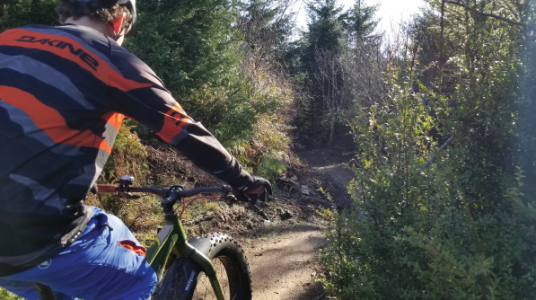 After riding the trails on opening day, the celebration continues at Bandon Brewing with a huge party and a chance to meet other riders and trail lovers as you soak in this momentous occasion.